It's interesting how nowadays our first reaction when someone breaks the social norm, in this case, sitting on a reserved seat, is to go online and shame the person. I suppose it's a move driven partly by vengeance and to see justice served, where a deviant is "punished" with having his face plastered all on the internet for "onlookers" to condemn. There's not much from history on the culture of naming and shaming (though I couldn't access an article because it was a journal), so I assume this culture is a relatively new thing. But it is one that is immensely popular, looking at how easily viral it goes. STOMP is a working proof. For the most of us, I suppose it feeds into our ego when we stand at the side at point fingers and judge the target of online shaming. It makes us feel superior, that we are more righteous than our fellow human beings. I think we humans need to have this feeling of superiority to validate our existence as if judging others gives us the impression that we are more important, increases our worth. Online shaming works to some extent in maintaining a certain social norm, I don't deny that. Because of sites like STOMP, more often than not I find myself reevaluating my actions in public because I am afraid that someone will take my picture. "Eh, be careful, later you kena STOMP," is a legitimate warning here in Singapore. But I think the issue with online shaming is whether is morally right. Or whether it is justified. More often than not, we go all out of our way to condemn a person. We throw derogatory remarks to the subject and many times the person not online suffers a blow to his/her self-worth, sometimes even other things in real life gets affected too. 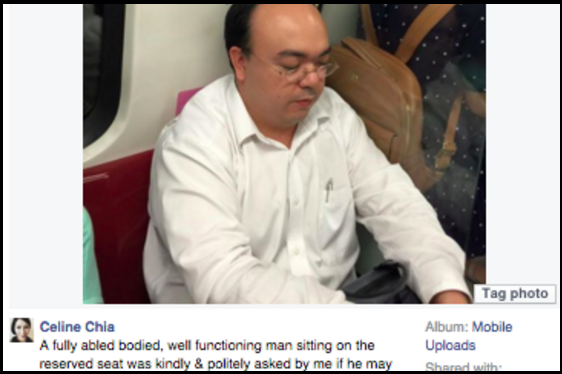 Like once the was one person who was removed from his job just because he sat on the reserved seat on the MRT. It's easy to throw a mean comment online because you just move on after that, but for those caught in online controversies, sometimes the aftermath runs deep. 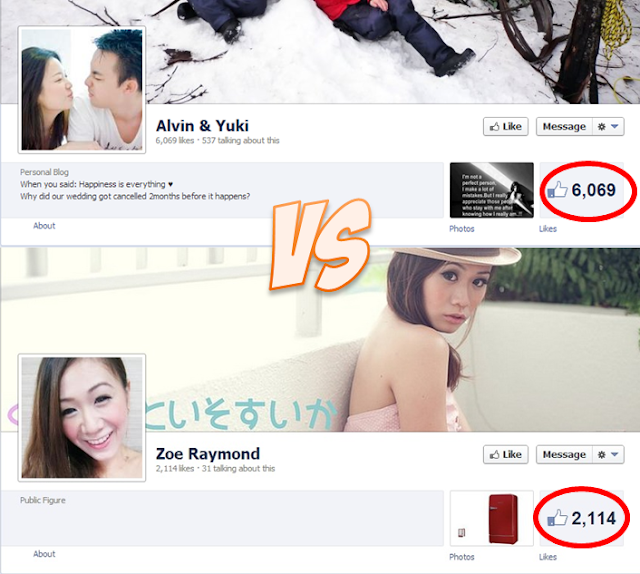 However, there seems to be a reverse in trend nowadays, where people are condemning those who shame other people online. It's like condemnception, if you get what I mean. There are people who defended the man in the picture, asking for people to at least look at the whole story before judging, and there are those who called for this whole culture of online shaming to stop. Their voice may be soft now, but perhaps this is a sign that our society is evolving, like the backlash against the STOMP. Of course, this also stems from our need to feel more morally upright than those online shamers, but I guess we humans are just weird like that.